Ruby is an increasingly popular, fully object-oriented dynamic programming language, hailed by many practitioners as the finest and most useful language available today. 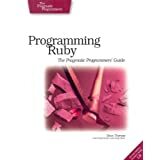 When Ruby first burst onto the scene in the Western world, the Pragmatic Programmers were there with the definitive reference manual, Programming Ruby: The Pragmatic Programmer’s Guide. 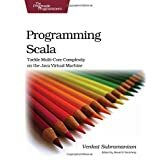 Complete documentation on all built-in classes, modules, and methods. Complete descriptions of all 98 standard libraries.